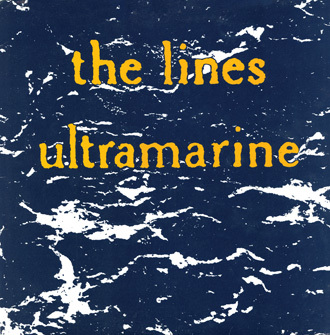 Our second album Ultramarine was recorded exactly a year after the first. By the time they were recorded these songs were well honed and rehearsed, and the sessions advanced like a military operation, this time with the excellent John Fryer at the controls. Stripe kicks off the proceedings, a personal fave of mine with its cool Jo Forty riff and eerie guitar from Mick Linehan. Another tale of social chaos, it’s interesting to observe the differing tone between this and the previous album’s opener Come Home. Where that song was filled with foreboding, Stripe almost seems to welcome the disorder. A year of Thatcher’s societal destruction and warmongering had evidently inoculated us to the fear.